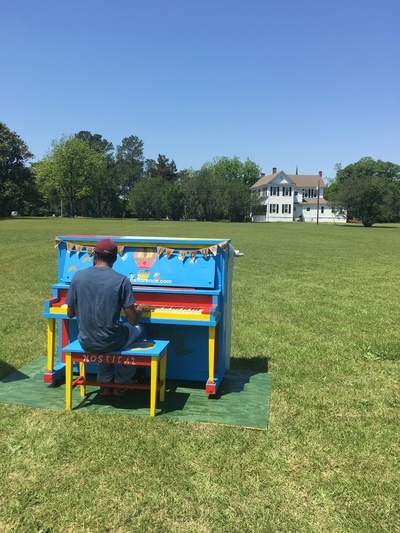 This piano is open to play during daylight hours. 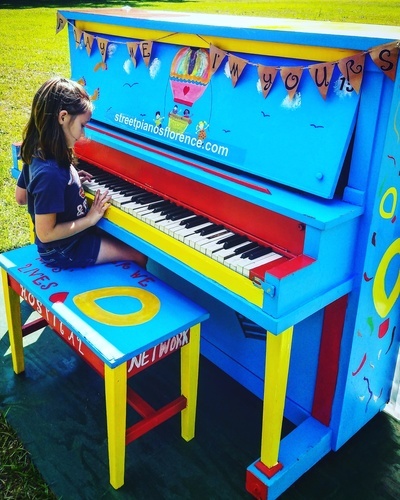 It was decorated by Nikki Player Children’s Miracle Network, and it is piano 15 for the People’s Choice vote. 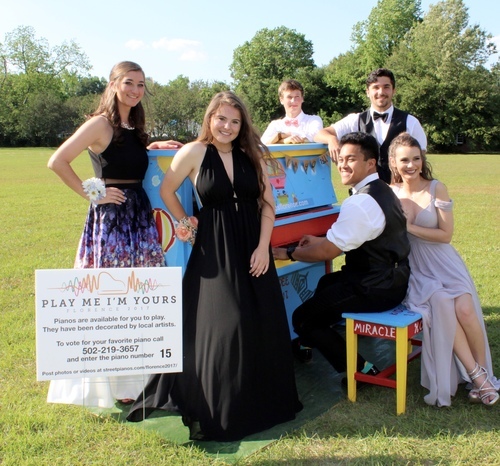 Trinity-Byrnes Collegiate School senior prom 2017 stopped to play a little music! Lovely to see a piano back in this location!!! 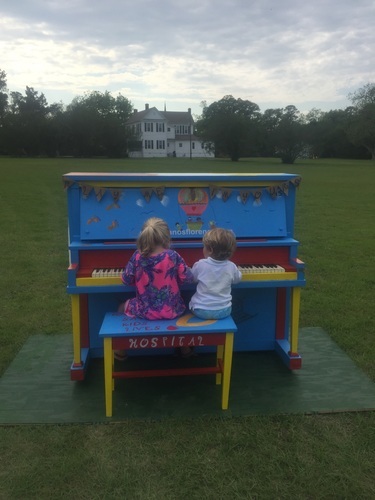 My children loved playing it! !